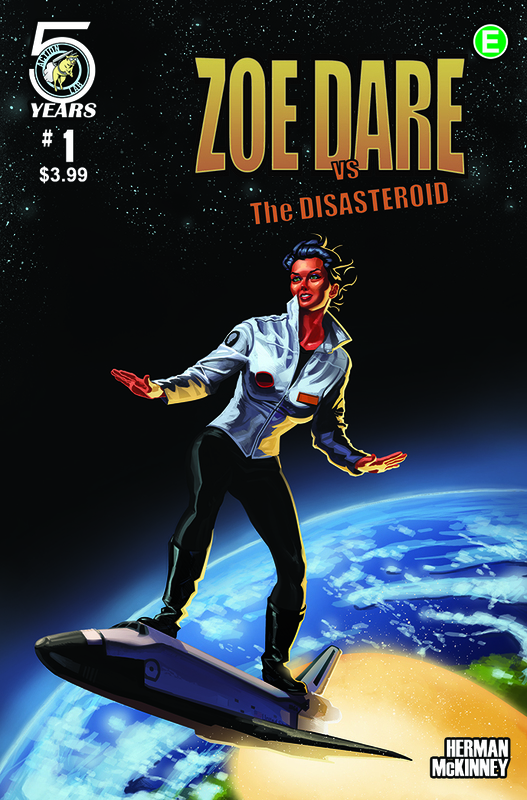 When the Earth itself is in danger from an approaching asteroid, a professional stuntwoman is our only chance to save humanity! But is Zoe Dare up to the task? With the help of her punk rock, I.T. savvy sister and two A.I. enabled robots, ready-or-not the unlikely team is about to be thrust into an adventure of disastrous proportions! Variant cover limited to 1,500 copies.